It was over 5 months ago that I blogged on "What Does a Clerical Collar Say?" -- and with 30 comments (and still climbing), this post remains one of Paradoxology's most frequented. "The whole issue of wearing clerics has been interesting with me. I come from a pentecostal/charismatic background. I attended a traditional pentecostal Bible school for both my undergrad and M.A. My father was prominent pastor in the same denomination, although I usually attended charismatic/word of faith/vineyard churches. With that being said, I am now ordained in a sacramental church (similar to Charismatic Episcopal Church) that is both liturgical and Spirit-filled. The interesting thing I found out was that wearing a clerical collar usually attracted the unchurched although some "very religious" Christians were turned off by it. I even saw a difference between wearing a colored clerical shirt and wearing my "black and whites". When I would wear my black clerics to places such as hospitals, etc. it was normal for strangers to speak to me, ask me for prayer, etc. I guess those who were in need could recognize me for what I stood for and would ask for help. As far as those "very religious" Christians are concerned, I had to make a decision... was it more important for me to reach those who did not know Christ or upset a few people who were already on their way to heaven? For me the answer was simple." I suppose that, like Rick, I might also be more inclined to begin wearing a collar for the sake of the unchurched, rather than concerning myself with what "religious folk" might think. Some of you may remember that I've been toying with the possibility of wearing a clerical collar -- something which was common in my own faith tradition a century ago (Free Methodist). In addition to a couple of leaders in my church who are encouraging me in this direction, and even "daring" me, the words of my friend Pavel (aka Addai, of TheOoze fame) continue to haunt me: "wearing a (clerical) collar is like telling the world, 'the kingdom of God is open for business.'" And so I'm asking myself afresh, "who did Jesus primarily seek to proclaim his kingdom to?" I think that Rick's conclusion is starting to sound more and more persuasive. What are your thoughts? 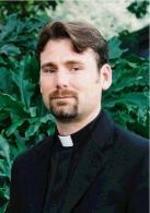 Maybe we should all start wearing clergy collars? Chris, you just need to take the plunge and go get one. You're not going to be satisfied until you do. So in the spirit of my prediction that Cleave would become a Mac addict (made January 13, 2004 and fulfilled April 26, 2004), I predict that you will eventually sport the collar. I agree with Daniel - just go for it! It's sure to be an informative experience. Also if you try it and it doesn't work out, you can always go back to wearing your civvies. I think it would definately be a good idea for you. Its not a legalistic thing, not everyone has to do it. Rod had a good point, but I don't see a huge amount of people sporting them soon. Chris, do you think certain types or ages of people would respond to this more than others, besides the unchurched vs. churched angle? If it's fulfilled, I'll be sure to post some photo documentation! For Pagitt, it is unhealthy - even abusive - to suggest that only a few, privileged individuals can speak for God. "Why do I get to speak for 30 minutes and you don't?" . . . To treat the sermon as an oratorical performance delivered by a paid and trained professional who claims to speak for God sets up an artificial power imbalance within the congregation, says Pagitt, a Baptist by training. It's hard for a congregation to practice the priesthood of all believers when the preaching perpetuates an image of the pastor as somehow more authoritative or spiritual than his or her listeners. So I wonder...does wearing a collar (or any other vestiments) perpetuate the same image? I think it plainly does...so the question becomes, "Is it worth it?" "do you think certain types or ages of people would respond to this more than others, besides the unchurched vs. churched angle?" That's a good question, Benjy. I don't think general social categorizations apply here (e.g. age, gender, race, economic status). I don't even think that the paradigmatic factor of modernity v. postmodernity applies. My "hunch" is that anyone could theorhetically qualify as an interested/approaching party to a person wearing a clerical collar UNLESS certain "disqualifiers" were present -- such as: 1) personally wounded by/disenchanted with church or having a close friend that experienced the same. 2) familial disinterest or distruct in organized religion. 3) absense of any pressing "issue" or "need" in one's life. How about you, Benjy? Do you have any possible answers to your question? Yes, I've read that article in Pastors.com. Pagitt always puts forth some excellent throught-provoking ideas. Part of the problem is that we've set up a false dichotomy between the "lay-clergy" distinction and the ministry of all believers. Frankly, I see both as coexisting in the New Testament -- it's one more example of the "tensions" within our faith. The body is designed to be egalitarian, yet it also should recognize and support those who are "part of them" and yet "over them" in the Lord. This is paradoxical. This is enigmatic. This is biblical. It may be that Doug's baptist orientation is in part what has spawned his observation of the "power-weilding" characteristic of much of today's pulpiteering. Administrative-pastors, worship-pastors, youth-pastors, counseling-pastors, and the like can become just as "power-abusive" as the stereotypical preaching-pastor. In fact, as far as THAT goes --- many, many "lay" people in typical small (and unhealthy) congregations are weilding power in VERY destructive ways every day (through family and board coalitions and other manipulative methods). The answer is not to omit teaching from the life and worship of communities of faith. Leaders need to help transition their congregations away from the overly bibliocentric models of church life that have dominated evangelicalism for the past 250 years. When the diversity of charismata within the body is recognized, cultivated, expressed, and appreciated by those who lead -- "abuse of power" is a mute point. The best leaders are servant leaders -- they're not in the ministry for themselves, they're in the ministry for others and for the sake of Christ. So, my response to Doug would be -- the problem is not an inherant flaw in the leadership role, it's in the one occupying that leadership role. I think I remember parts of the New Testament reminding us to serve and to submit to each other. The authority in the NT seemed to flow out of the contexts of healthy relationships. Within their community, they served and submitted to each other. Back to Daniel's question, what if more lay people were given encouragement to also wear collars? Surely we don't believe that only "certain leaders" can pray and counsel with those in need.